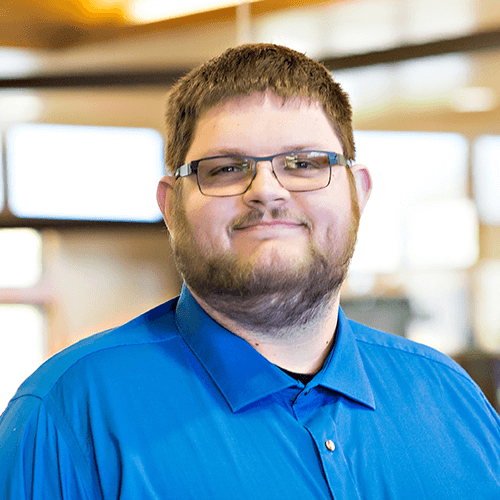 Jeffrey Fuller, a graduate of Grand Valley State University, began his career as a Software Developer at Magic-Wrighter, Inc. in 2010. In 2013, he was promoted to Software Design and Development Manager where he is responsible for delivering results to the customer. This requires ensuring that the software development team is working as efficiently as possible by defining clear goals and removing impediments. Projects are handled from initial discovery through deployment and each step along the way. Mr. Fuller also serves on the Project Review Committee, Risk Assessment Committee and is active in the Strategic Planning Committee.